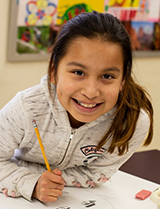 Send a Lakota child a Valentine's Day card! It’s a wonderful feeling to know you are loved. 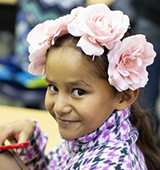 Many of our students are living miles and miles from their families and we want to make sure they know they are loved on Valentine’s Day. Help us do this by sending a card! Our goal is to gather 1,000 Valentine’s Day cards by Tuesday, February 12, so each of our 200 students receives five cards. Simply choose one of the following three cards and write a short message below. When our students wake up on Valentine’s Day, they’ll be given the cards to prove so many people — like you — care about them! You will receive occasional updates from St. Joseph's Indian School and can unsubscribe at any time.